Forget Muslims, Evangelicals have started a new crusade….. against Mormonism! It’s always amusing when people take a stand as if they have the absolute truth in regards to religion. In this case Evangelical Christians seem to have found a new “M” word to hate, and this time it’s not Muslims, It’s Mormons! Now this is not a new conflict, but it has recently been thrusted into the limelight by Politics. within the last 8 years, 3 high profile Mormons have sought the presidency in the United States. Mitt Romney, Mike Huckabee, and John Huntsman. None have been successful yet, but currently the Republican Front-runner for their 2012 Presidential nomination is Mitt Romney. But the vast majority of Republicans are finding it very difficult to support a Mormon candidiate, hence the calvacade of front-runners who are “NOT” Romney. 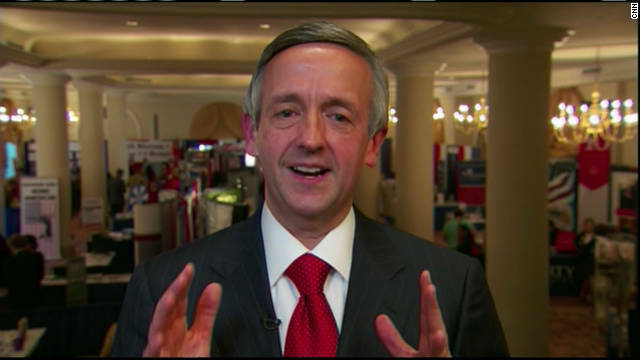 One of the most outspoken people on this subject has been Dr. Robert Jeffress of the First Baptist Church in Dallas, Texas……..